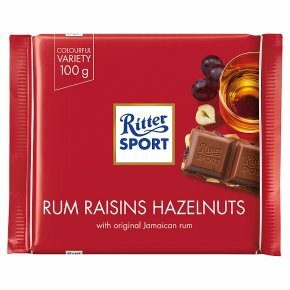 Milk Chocolate with rum (2%), raisins (13%) and chopped hazelnuts (5.5%). With original Jamaican rum. Quality, chocolate, squared.